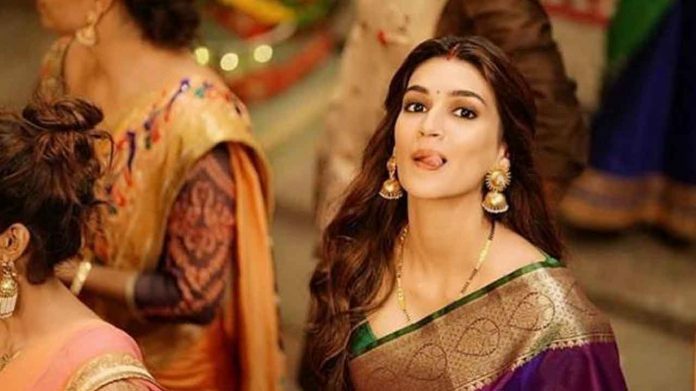 Kriti Sanon’s Luka Chuppi is on a rampant run at the box office, owing to the phenomenal success of the film, many leading brands are keen to take Kriti Sanon on board considering her as a bankable actress who’ll be the face of the brand. Kriti Sanon has not only achieved the mark of 75 crores with her first release of the year as a solo female lead but is also aiming to march towards the 100 crore club which has landed Kriti Sanon in a plenty requests to grace events followed by many leading brands. The actress has already many leading brands in her kitty and now followed by success spree Kriti Sanon is in double the demand. Recently, Kriti treated the audience with her electrifying performances at the Award function. Not just a versatile actor, Kriti is also an impressive dancer, the testimony of which has been her moves on her striking chartbusters. Kriti is currently running a hectic schedule as the actress is busy shooting for her upcoming next in Karjat. Previous articleSalman Khan’s Launches Being Strong – A Fitness Equipment Range To Suit India’s Fitness Requirements! Next articleShraddha Kapoor Gives A Shout Out To Bhushan Kumar’s Initiative To Make Bharat Number One!